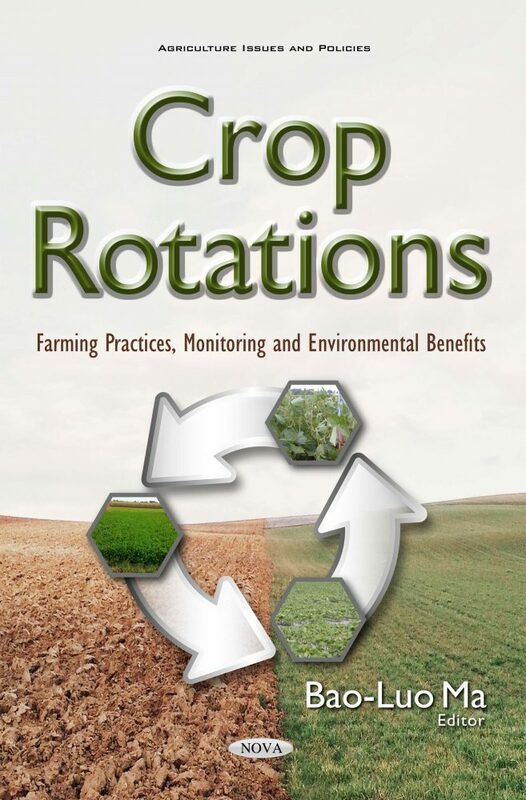 Crop Rotations: Farming Practices, Monitoring and Environmental Benefits, edited by Dr. Bao-Luo Ma, a senior research scientist from Agriculture and Agri-Food in Canada, includes contributions from more than twenty-eight scientists in this dynamic field from around the world. This book synthesizes the latest innovations and integrated knowledge from science disciplines as diverse as agronomy, soil science, ecology, economy, and social sciences. The global population is projected to reach nine billion by mid-century. Questions continue to arise concerning the ability of the agriculture sector to keep pace with the demands for food, feed, fibre and fuel of an increasing population in the near future, as well as finding a way of sustaining both the production system and the environment. Crop rotations, an ancient practice that has gained renewed interest in recent years, involve growing different crop species/varieties on the same piece of land in consecutive growing seasons (years). The direct and indirect benefits of this practice to the production system and the environment have been recognized for millennia. In recent years, it has been documented that crop rotations coupled with conservation tillage has enhanced the physical, chemical and biological properties of soil, improved seasonal nitrogen availability, and provided nitrogen inputs through symbiotic nitrogen fixation by legumes. This strategy can also lead to a better balance of plant nutritional requirements and a shift in soil mycorrhizal populations, interrupt insect populations, increase root activity, reduce disease severity, enhance environmentally-friendly biodiversity, and lower per-area greenhouse gas emissions or per-yield based carbon footprints. This book serves as one of the most recent and valuable reference on these multi-disciplines, and targets audiences at the undergraduate and graduate level, including crop, soil and agronomy scientists as well as environment scientists and policy-makers. This book has synthesized the latest innovations and integrated knowledge from science disciplines as diverse as agronomy, soil science, crop physiology and ecology, economy, and social sciences. It will serve as the most recent and valuable references on the multi-disciplines and targets audiences of undergraduate and graduate students, crop, soil and agronomy scientists as well as environment scientists and policy makers.